Primitives is the debut EP from Art Nikels. It's psychedelic rock with a strong electronic influence. It's the sort of music that is never likely to be a big commercial success but is instead made for the sheer love of making it, in the same way most artists paint or sculpt knowing full well they'll never become rich and famous doing that. It's artists like Art Nikels that help keep music interesting. It's a strange EP - it's a dreamy kind of sound with it's psychedelic music and soft vocals. It doesn't immediately grab your attention like your typical rock band does, but it's more subtle sound does seem to find a way to keep the listener interested , and before you know it the EP has been playing for an hour and time has flown by. 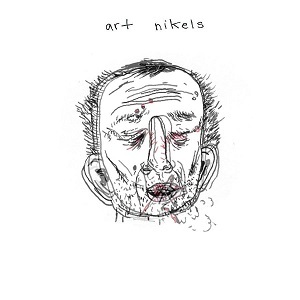 If you like a psychedelic feel to your music then check out this release from Art Nikels.